Max G. Lemberger, of Lannon. Born to Eternal Life March 29, 2014 age 94 years. Beloved husband of the late Elsie B. (nee Magdic). Dear father of the late George. Also survived by nieces, nephews, other relatives and friends. 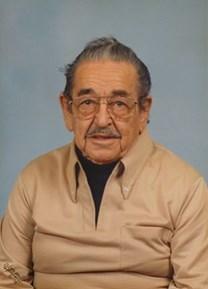 Max was an Army Veteran of WW II, former owner of Max and George's Tap in Lannon, and a retiree of Johnson Controls. Visitation Monday April 7, from 5pm to 7pm at the Funeral Home, with Funeral Service to follow at 7pm. Entombment with Full Military Honors on Tuesday, April 8, 11am at Wisconsin Memorial Park (please meet in the Green Parking Area). Memorials to the Stars and Stripes Honor Flight would be appreciated. "My condolences to the Family. My memories of him when we visited family in Milwaukee will always be cherished. Condolences from my sister Pam also. ..."